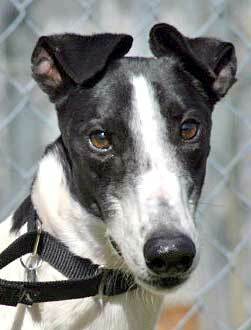 Jake, formerly Hank, aka Boc's Humminhank, is a 5-year-old male, born April 4, 2005. His dam is KL's Cindy Lou, and his sire is Dox Out of Peace. His great-grandsire is K's Flak, who set some records and won big stakes in his day. 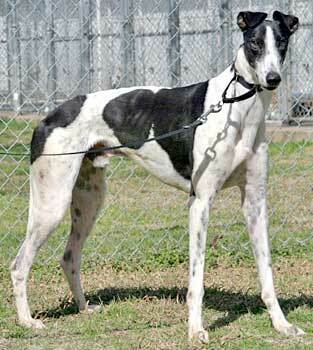 After 16 races at Valley Race Park in Harlingen, TX, from November 24, 2006, to Feburary 9, 2007, Jake's owners decided it was time for him to retire. Jake was adopted and lived with a family for several years; however, the dynamics of the family changed, and Jake now needs to find his true forever home. It is not known at this time if Jake is cat or small dog tolerant.